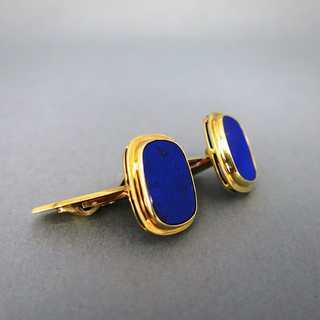 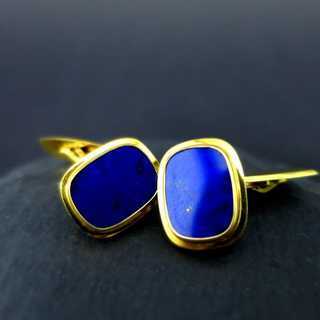 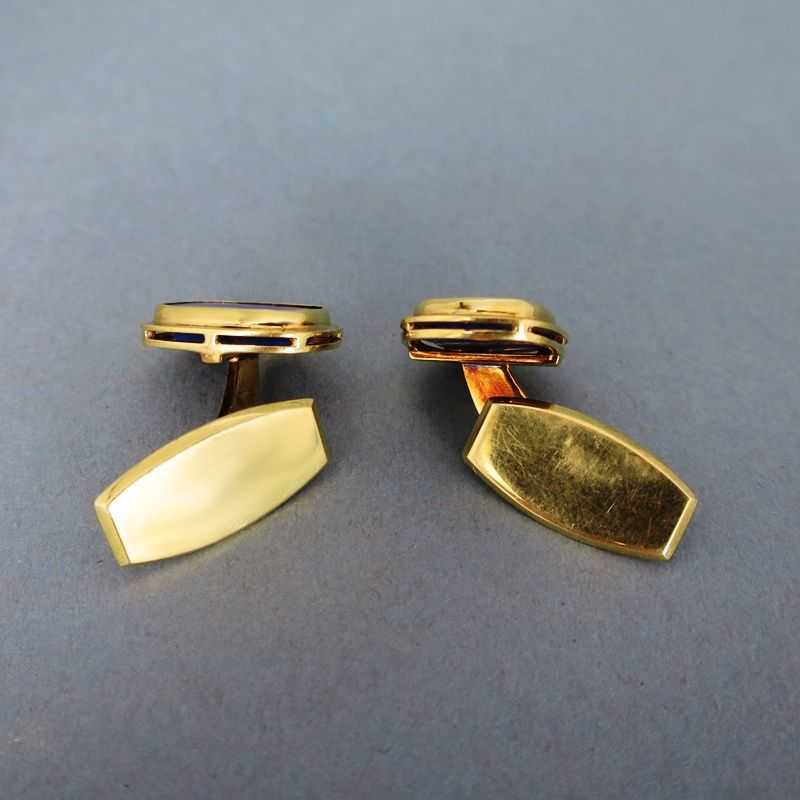 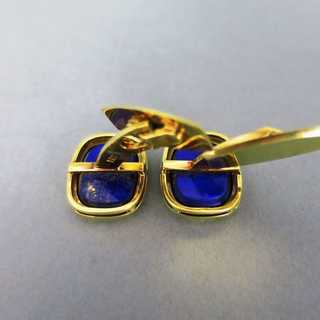 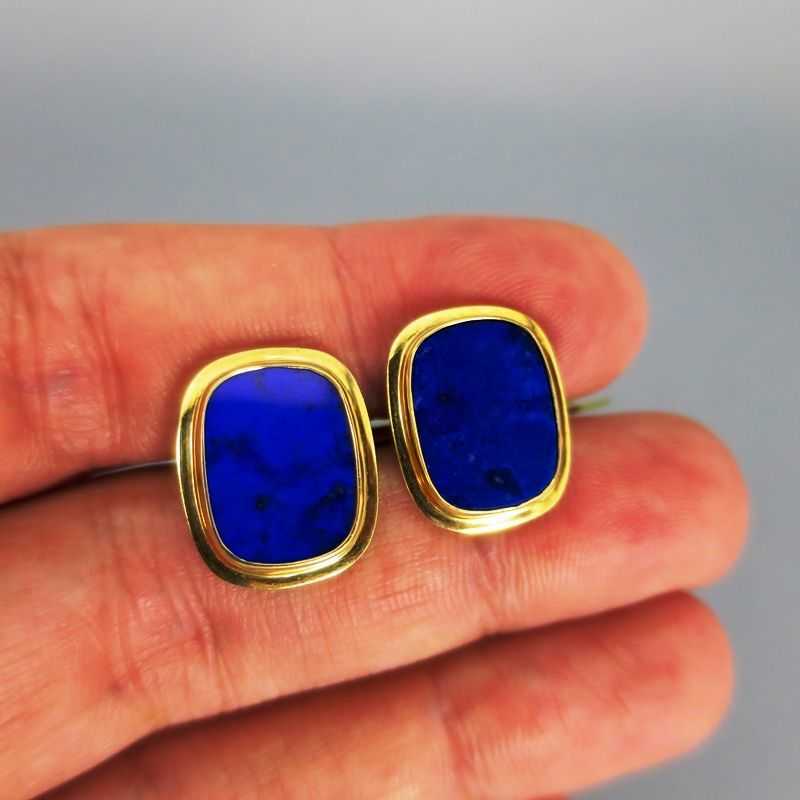 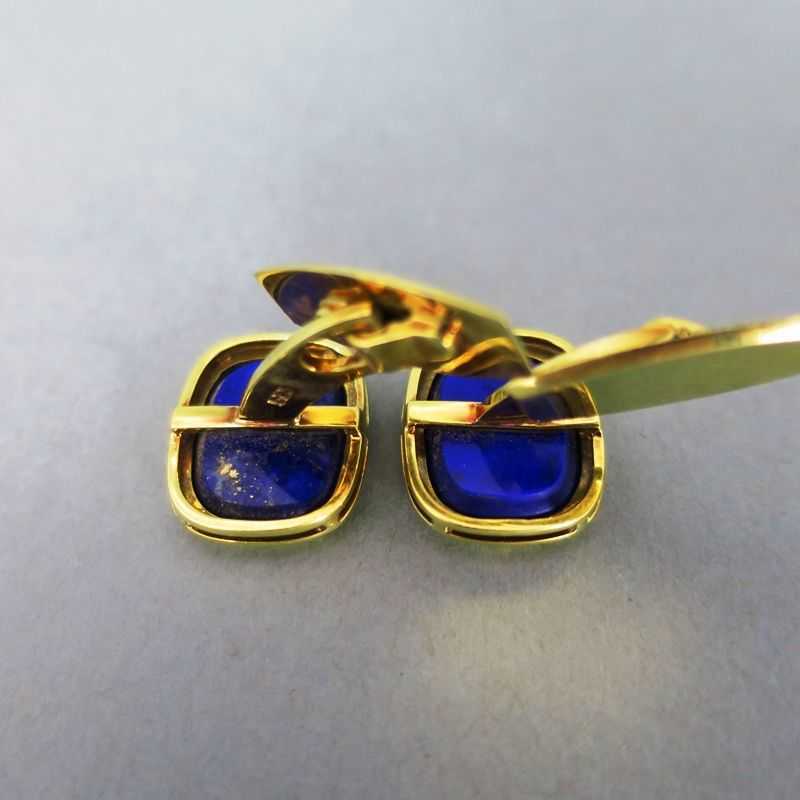 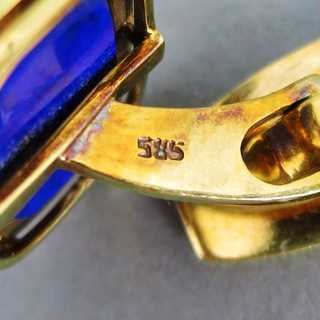 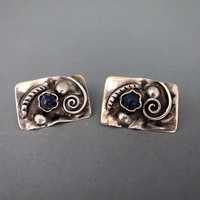 Beautiful and elegant cufflinks with lapis lazuli stones. 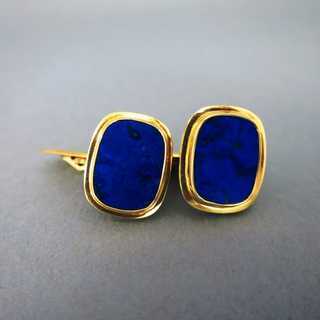 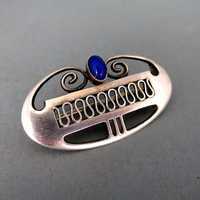 Flat, rectangular lapis slices with rounded corners are mounted into stepped bezel settings. 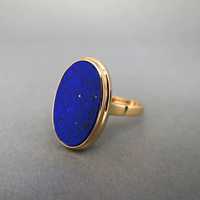 The lapis have delicate pyrite speckles.